Condo Culture | National Media Citing Cooling Market in the GTA. Here’s what we’re seeing on the ground. Despite an influx of buyers from Toronto, new local condo purchasers may be likely to pause based on what they are hearing in the media. During the recent weeks, news headlines questioning the sustainability of growth and pricing in the national and GTA markets have been brought up in a few conversations with Condo Culture regulars and new visitors to our stores looking to get a pulse on the market. We’re seeing nothing but continued strength in market so we wanted to offer context of what we’re seeing on the ground to give you a true picture of what we’re experiencing locally and how this may impact your buying decision. 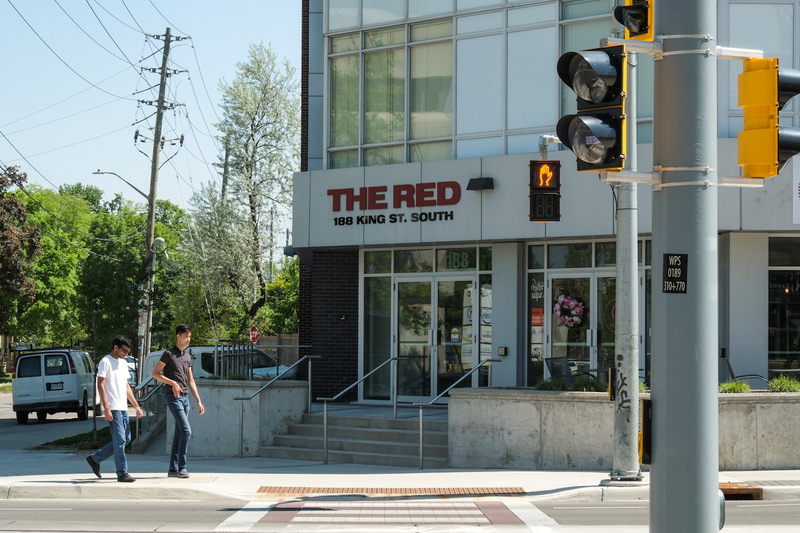 If Toronto developers are currently seeing slower demand and the need to incentivize buyers to complete deals, recent events on the pre-construction side of the market in Waterloo Region seem to place the local market in stark contrast. In fact, recent projects such as Circa 1877 in Waterloo, Garment Street Condos in Downtown Kitchener and The Gaslight Condos in Cambridge each sold out within minutes on opening night and at least 2 of these developments had extensive waiting lists of additional interested buyers. Future projects are sitting on thousands of registered buyers and migration into Waterloo Region continues to add greater than 10,000 people annually according to official regional projections. So will all of these new people to our region live in condos? While we would love that, probably not. :) But with planning legislation encouraging intensification of the cores over continued suburban sprawl, shifting demographics lending to increased condo demand among local residents, strengthening lifestyle preferences for condos as a housing type, increasing employment within our core areas, desirability of these core areas as a place to live, and generally decreasing affordability across the single-detached housing market, we are continuing to see very strong fundamentals in the local market and no indication of slowing demand. In fact, all we do is condos and we’re the busiest we’ve ever been. It’s also important to recognize the relative difference in pricing between Kitchener-Waterloo and the Toronto area. Appreciation in the Greater Toronto area has been sensational over the past few years and while this trend has been very good to early investors, pricing is at all time highs and a much different value proposition to us here in Kitchener-Waterloo. In fact, across all cities in the Region, we’re still a relative bargain to comparable condos in Toronto and this is a major factor that is causing many new residents and investors from outside the area to take notice and buy with confidence. To add context to this, prices in downtown Toronto are currently over 2x what we are locally and depending on the area and type of building this trend also extends to the outlying areas outside of the downtown core as well. Our colleagues from Toronto who are advising their clients that Kitchener-Waterloo and Hamilton are the next investment frontiers outside the city, regularly joke with us that the market is on sale at 50% off. That may be a stretch but nonetheless this significant differential in pricing coupled with our strong local fundamentals, unique culture, renowned tech community, improving transit infrastructure and relentless demand from both locals and newcomers to the area has us continuing to buy units ourselves as investments and bullish on the future of the market. In fact, while pricing in the Toronto area is nearly 2x where we’re at currently, our rents for urban downtown condos trend at almost 70-80% of rents achieved in Toronto for comparable units, making it much easier to cover your costs, run either cash flow neutral or cash flow positive and generate a stronger cash-on-cash return. So when we’re asked if investing in Kitchener-Waterloo condos should be seen as risky based on media coverage we can confidently answer that from our perspective, the timing to invest in Kitchener-Waterloo could not be better. Questions or comments? We’d love to hear from you! Give us a shout at 519-744-8700 or visit us for a coffee at one of our local condo real estate stores.